Today a woman for whom I had done horary charts in the past telephoned around 1 pm to say that she was missing a hearing aid and was unable to find it. She asked me to do a horary chart. The question was asked at 1:01 pm EDT. Horary for missing hearing aid: 29 July 2015, 1:01 pm, Connecticut, USA. It is a Mercury day during a Venus hour. According to Dorotheus, Venus is the day-ruler of the water triplicity. The Scorpio ASC belongs to the watery triplicity. In addition, Venus is closely sextile the ASC. Mars rules the Scorpio Ascendant and signifies the querent. Mars is also almuten of the 1st house. Mars rules the 2nd cusp of possessions and thus also signifies the missing hearing aid. Mars is also almunten of the 2nd house. The fact that Mars rules both the querent and the missing item suggests that she will find it. Sagittarius is intercepted (Placidus houses) in the 2nd house, making Jupiter a co-ruler of the hearing aid. Jupiter in the public 10th, an angular house, suggests that the hearing aid may be near or at her office and easy to find. Saturn in Scorpio on the cusp of the 2nd house suggests that Saturn is also a co-ruler of the hearing aid. Saturn is disposed by Mars, and Mars and Saturn are mutually applying to a favorable trine, suggesting that she will recover the missing item. Since Saturn rules the 3rd (vehicles, local travel) and Mars rules the 6th (hygiene), I suggested that she look carefully in her car (3rd house) and in the bathroom of her office (a 6th house association). Since Mars occupies the 9th (a travel house), the car seemed the more likely possibility. 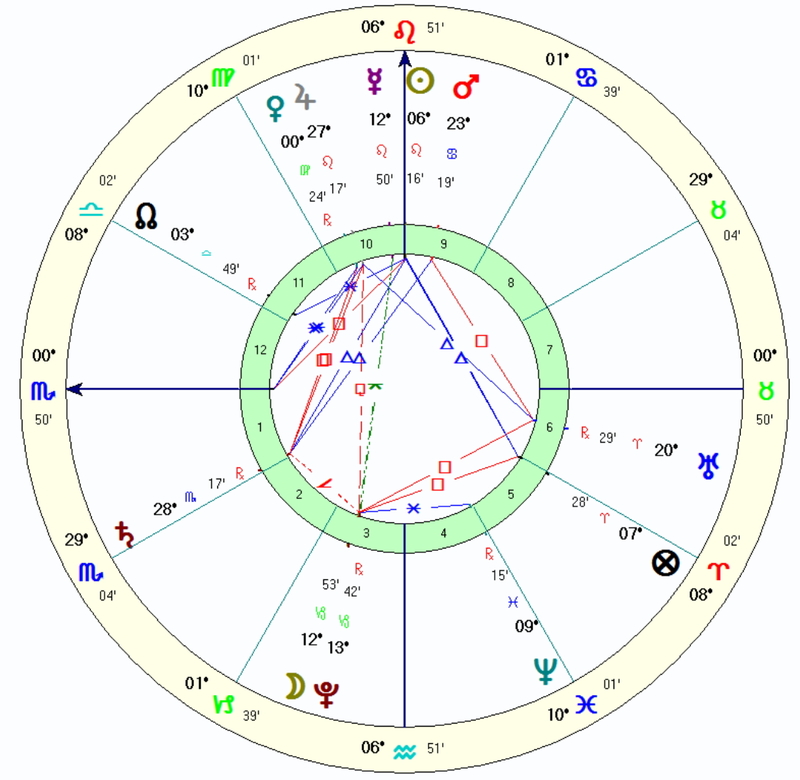 Furthermore, Mars in Cancer in the 9th is disposed by the Moon which is applying to Pluto in the 3rd of local travel. The Moon co-rules the querent, and the Moon and Pluto are applying mutually to a conjunction in the 3rd house of cars. In modern astrology Pluto is a co-ruler of Scorpio and so could potentially rule both the ASC and the 2nd cusp. This is another suggestion that she will find the missing hearing aid in her car. A few hours later the querent telephoned to say that she had gone out to her car during her afternoon break and found the missing item on the driver’s seat. She hadn’t seen it the first time she looked in her car during her lunch break. The chart was a bit difficult to interpret but the preponderance of indications suggested she would find it in the car, which turned out to be the case. This entry was posted in Uncategorized and tagged horary, horary astrology, missing items. Bookmark the permalink. This is awesome! I find horary chart not easy when trying to identify missing objects. I enjoyed this piece. Thank you. Enjoyed this post – thank you for sharing. Very cool!